Léa-Yoanna ADAM English - ACADÉMIE DES ARTISTES MUSICIENS - A.D.A.M. Léa-Yoanna ADAM found her freedom of expression and her artistic maturity in France, where she definitively settled for many years. Special School of Music and Visual Arts «O. Bancila» in Iasy (Romania) for exceptionally gifted children with Vasile Tarnavsky and Alla Zaharescu. Middle School of General Culture and Music «O. Bancila» in Iasy, Romania, with Paula Moscu and Tatianna Peiu-Morosanu. College of General Culture and Music «O. 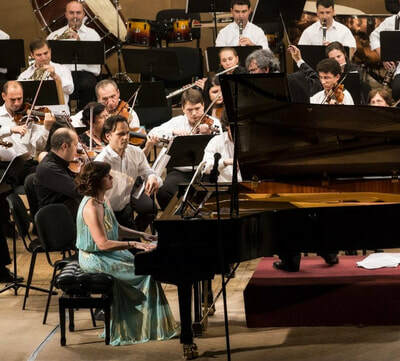 Bancila» in Iasy, Romania, and Master’s Degree in Piano Concert in Bucharest (Romania) with Maestro Sofia Cosma and Tatianna Peiu-Morosanu. Baccalaureate with 1st mention in Piano, Musical Theory, Musicology and General Culture. National Music University « G. Enescu » in Iasy (Romania). Composition (after having worked with the Masters V. Spatarelu, D. Capoianu, S. Pautza, Misievici (Romania) and Iurie Galpérinn (Russia)). 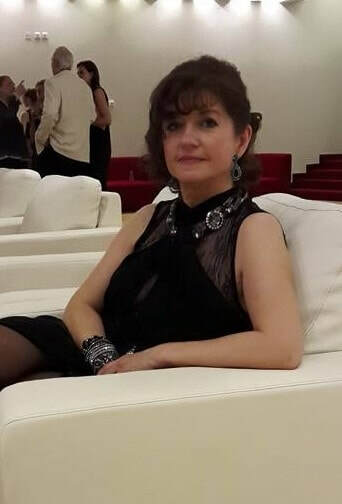 As a composer, her talent has been recognized by several international chamber and Symphonic Music Competitions (in Romania, Switzerland, France and Greece, in 1978, 1981, 1983, 1998), with three Lieds for Tenor and piano, Symphonic Poem "Spheres of Fires", the String Quartet and the Sonata for Violoncello and Piano, for which she received the Medal of Vermilion of the City of Paris. Musicology (having had as Masters G. Pascu, L. Ghermann, E. Cosmei). 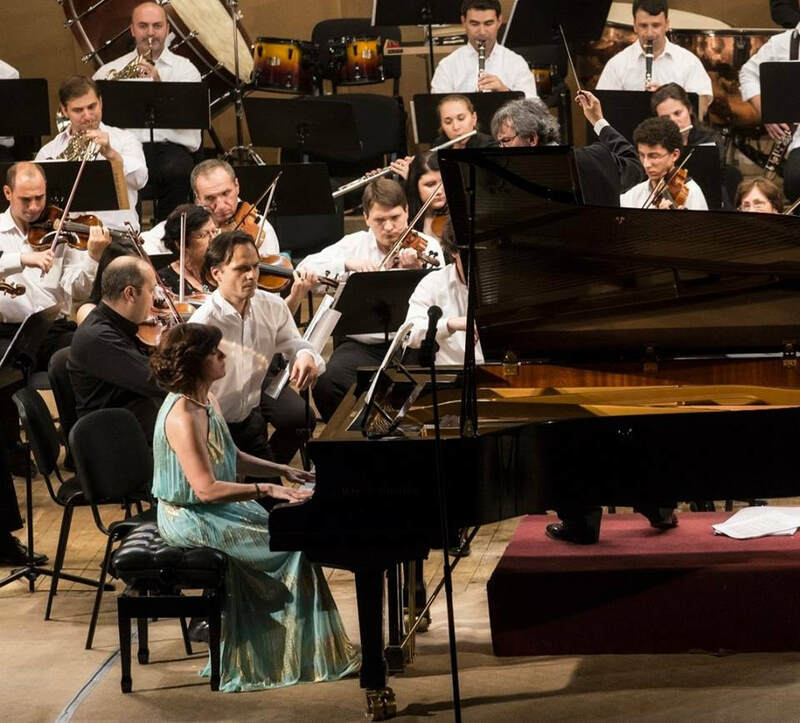 At fourteen years old Léa-Yoanna Adam conducted for the first time the Symphonic Orchestra of Iasy (Romania). Since then, she came to public attention by conducting in France and abroad the works of W. A. Mozart, J. Haydn, L. van Beethoven, france. Schubert, R. Schumann and J. Brahms. During her career, she has had the opportunity to meet priceless personalities of the musical world such as Yéudi Menuhin, Sviatoslav Richter, Herbert Von Karajan, Serge Celibidache, Pierre Petit, Ricardo Muti et Véra Gornostaëva, which forged her artistic personality. Follow-up Master-classes with Maestro Vera Gornostayeva et Micha Iaschin. 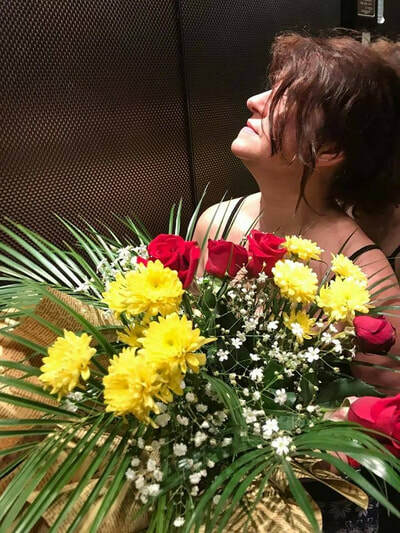 She worked as assistante of Concert Performer Pianist Nicole Afriat and takes part in the commissions of correction the teaching thesis, for state professors diploma in France. Professor of the International Academy of Music of the Pleyel Chamber of Paris, directed by the Concert Performer Pianist Brigitte Bladou. 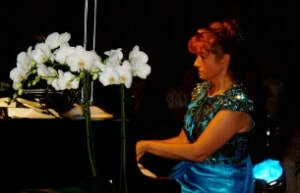 Piano teacher « MUSIC FOR ALL » of Férolle-Athilly (Paris region) of which she assumes on occasion the task of running classes and management organisation. Léa-Yoanna Adam is the founder and the President of A.D.A .M. (Academy Of the Artists Musicians) under the aegis of which she organizes concerts, courses for International Master-classes, International Contests and Festivals and award prizes in different competitions concerning the promotion of young artists. Her work is recognized in several countries and subsequently a vey beautiful and instructive collaboration was woven with many professors and collaborateurs of music schools who follow her courses with great interest. Beyond her personal artistic activity, Lea-Yoanna Adam is increasingly recognized by many young pianists who, thanks to her expertise and teaching experience gain many prizes in the Great Festivals and International Contests in Europe and Asia. Léa-Yoanna Adam as a soloist with Orchestra Recitals with four hands or two pianos and in trio for chamber music and quartet she was awarded the citizen of honour for the City of Iasy (Romania) for her musical achievement over her entire career and obtained the Medal of the Music whos professionalism is recognized on the scenes in Europe and in the U.S.A. .
To consult her musical repertoire, click on: "Répertoire Musical". She contributes, at the side of President of Commission U.N.E.S.C.O. for Romania, with support and artistic and cultural development Rumanian from where she drew her roots.